Want Digital Pharma Marketing “RESULTS”? 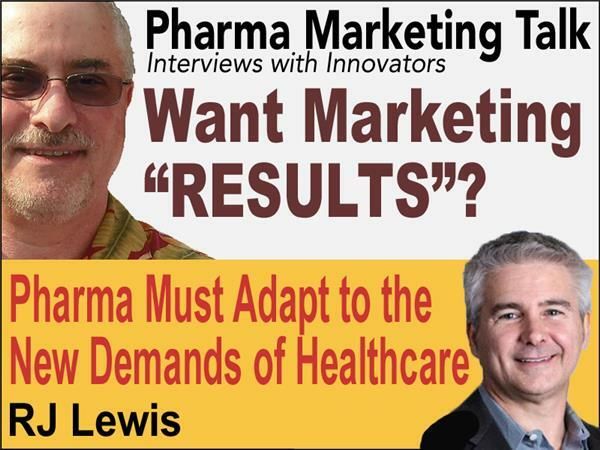 Pharmaguy interviews R.J. Lewis, President and CEO of eHealthcare Solutions, about his new book "RESULTS: The Future of Pharmaceutical and Healthcare Marketing," which he co-authored with Scott Weintraub, Brad Sitler, Joanne McHugh, Roger Zan, and Stephen Morales. What are some of the biggest trends you are seeing in digital marketing today? There is a shift from targeting contextually to targeting based on an audience, how is this playing out in digital marketing and where is it heading? What are some examples of “data driven” targeting in online advertising? What does the future hold for the newer media and platforms such as mobile and video? How big of a role does societies concerns over privacy play in how the future unfolds? For the chapter on a view from the manufacturer, I understand you interviewed over two dozen pharmaceutical executives. What are the main themes you heard from them?